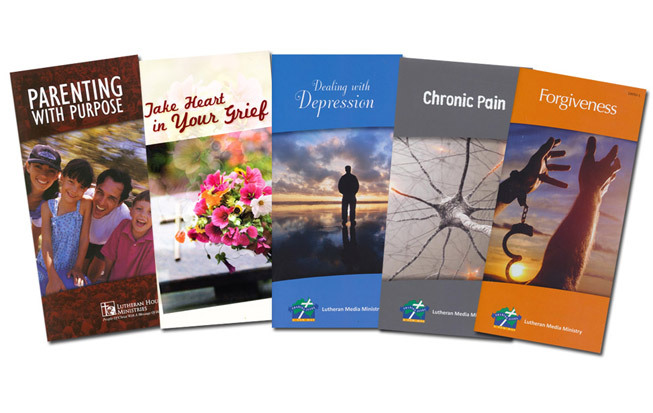 Free booklets are available to help people through the trials and testing times that we all go through in life. They give guidance and hope through the good news of Jesus Christ and the impact that faith in God's word can bring. There is a free booklet each week that compliments the theme of our weekly Face to Face program. There is a link that enables our listeners to order the booklet and receive it via post. We also provide booklets themed to assist and guide parents and teachers on our Happyland website. With so many different types of families our aim is to assist those in need with words of hope and strength so that they may know the gift of God's grace as they deal with the challenges of everyday life. We welcome anyone who is facing a challenge in their lives to get in touch. We have a large library of booklets available and are happy to discuss which booklets would be most beneficial for you. If you know someone facing a situation they may need guidance in, our booklets are always a welcome gift. Please call us on 1800 353 350, or email us at luthmedia@lca.org.au.